Last month I responded to a Wendy Williams' tweet about getting a Kim Kardashian makeover. About and hour later I was contacted to come by the studio for a casting call. While I wasn't chosen, they told me I'd probably be suited for something else later. Well fast forward a couple weeks, and I was called up for a mom's segment. My wonderful sister-in-law watched Nia for me while I headed out to Family Dollar to film the segment (unglamorous store, I know, but hey, it sounded like a unique opportunity!). 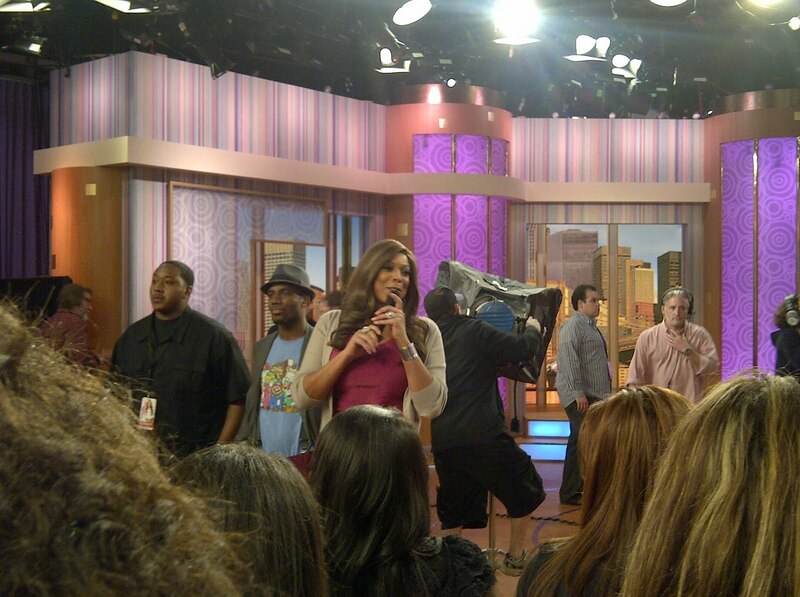 The segment, which aired Mother's Day, was Wendy pretending to be an employee of Family Dollar for the day. While several moms were chosen to go only a few were filmed - I wasn't one of them. We were given a Family Dollar gift card and told we could go back to the show for the airing of segment (the Mother's Day episode). At the time I didn't think I could go but again, my sister-in-law was able to watch Nia so I made it! It was a really fun show! I met up with a few of the other moms from the Family Dollar segment and we all set together (we were VIPs!). 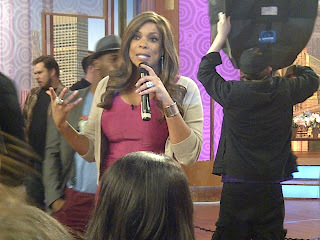 Wendy was so emotional that day; she was very candid! We were given some special Mother's Day surprises: organic, pink roses, a mom charm necklace from Helen Ficalora, another Family Dollar giftcard (Mr. Love Bird and I are going on a spree this weekend!) and a spray tan session (like I need more melanin!). Overall, it was a fun experience, and my mom in DC even saw me onscreen! That sounds like fun! And the unexpected gifts on top of it all. Nice!! The picture of your daughter trying to eat the rose is funny. I thought my son was the only one with a flower fetish. 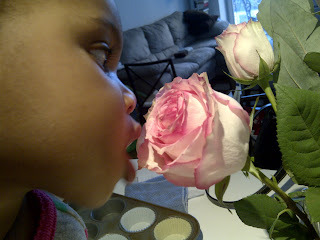 He liked to grab my Mother's Day roses by the fistful!